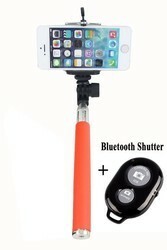 Innovative Krish Products - Manufacturer of camera with buttons and screw, selfie stick with remote & dvr pen in Mumbai, Maharashtra. Quick spin knob for fast and secure mounting. Connects to tripod mount on camera. Eliminate awkward photos taken at arms length. Take a picture anywhere without asking a stranger. 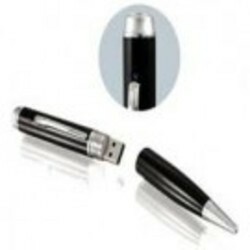 Slide the pen apart to expose a USB port, allowing fast downloading of data and making charging the device very simple. A compact built-in battery cell delivers power for three hours on a full charge, putting two hours of covert video surveillance at your fingertips! .Remote monitoring by voice or video dialing. 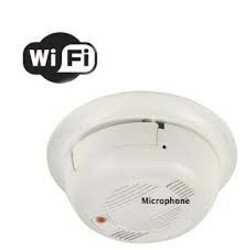 Automatic speech and video alarm if been intruded. 2.Continue to work when power off as built-in Lithium battery. 4.SIM card: WCDMA 3G Mobile phone Put-in: DC5V / 500mA Normal pressure: 3.5-4.2V Lithium battery: about 600mA Charge time: about 3 hours. Remotely View Wireless Surveillance Video Online with this H.264 Wi-Fi IP Smoke Detector Covert DVR Camera, uses MPEG4 High Quality Full Color SONY CCD Camera, it's also a Fully Functional Smoked Detector & Completely Covert - No Giveaway Wires Or Pinholes. Ultrasonic "SuperTough", Built tough to last, Easy to use, Addition and Subtraction function allowing you to add or subtract 2 measures, Measure and store 3 different measures, Metric or English measurement. 3.0 to 48 feet measuring range, High accuracy, Constructed to work on the roughest and dirtiest jobsites, this ultrasonic distance measurer provides a reliable, accurate and fast way to measure distances and calculate the area and volume of any space. Even in the day of the world wide web, there are still books // file in everybody's house. Somewhere somebody has some literature lying around, even if it's not being used. If it's not being used, this makes it even more hidden and unnoticeable. What better place to hide a spy camera to keep an eye on whatever is bothering you? Read your suspects thoughts with this super useful book // file camera. We are a top-notch organisation, engaged in providing Wifi Video Door Bell. IR view distance: 10m (5pcs leds). Connect with RJ45 Cable Between doorbell and router. Support to use your phone Pad with WIFI of your router and 3G 4G 5G of your phone,and see the video and unlock and alarm. 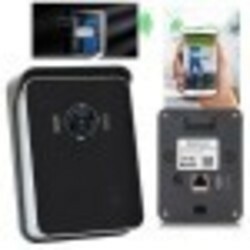 Support iPhone IOS, Android phone,Supports Wi-Fi and remote control.Point-to-point direct connected video function. Can See Real-time Video by WIFI/3G/4G phone & Android Mobilephone,Computer Anywhere Anytime. Fit for home security, education, life, and other fields. The CCTV Tester offers technicians a wide range of features to simplify CCTV camera installations. Power, focus and aim your cameras locally without a trip back to the control room. The unit´s bright screen and easy to use menu are ideal for outdoor use. A lanyard and a hand strap are included to ease installs in locations. The device allows the installer to control PTZ cameras that accept data over RS232, RS422 simplex or RS485 ports. 3G sim card camera solar security system. No need for lan network. 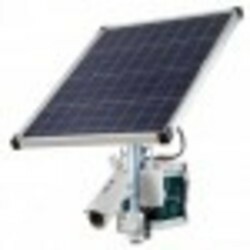 Smart solar surveillance system with battery and solar panel camera. This GPS Vehicle Tracking Device is a satellite positioning system combined with positioning, monitor and observe, alarm for help, advertising and tracking functions, it’s easy to use, easy to operate, the main applies to Motorcycles, vehicles and other mobile object location and tracking services. 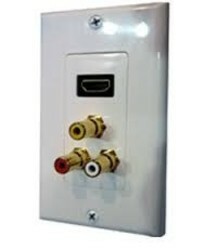 This is an advanced spy DVR that is loaded with features and looks just like an ordinary picture frame, so it easily blends into your home or business. Tape to PC Portable USB Cassette-to-MP3 Converter Capture Plug and play USB device, no need driver Convert you old mix tapes and cassette to MP3 to playback on IPod or MP3 Player or burn to CD Portable design fits in virtually any bag and enables you to play and transfer anywhere. Flexible battery or USB-Powered operation Audio output enables you to listen on your stereo, headphones, or other speaker system. USB 2.0 to eSATA or SATA bridge adapter. USB 2.0 High Speed (480 Mbps) & Full Speed (12 Mbps) transfer rates. Standard SATA interface, compliant with Serial-ATA 1.0A specification. Support Serial-ATA (Generation 1)transfer rate of 1.5 Gbps. Turn any SATA/eSATA mass storage device into a convenient external USB 2.0 high speed drive . Support 2.5/3.5 inch SATA/eSATA hard drives, SATA CD/DVD drives and eSATA drive enclosure. Ideal for copying and offloading files between hard drives. ATTENTION: can't use the SATA and eSATA port at the same time. How quickly your smartphone to Premium scanner : simply place your iPhone into the custom shell. Then slide photo , slide or negative with the right holder in the box. Simply scan with your iPhone : slides, photos , negatives ! Thanks to built-in lens to get digital images in high quality . Finally, in your iPhone plugged an extremely high quality camera , because you can not even keep up with the best slide scanner ! Through the lens of the scanning station , the result is further refined . In addition, the scan station lights everything from optimal. The images are stored on the free app with a push of a button ! And if you want it : The pictures are online with a push of a button ! Email or Facebook - the app sends your photo directly to the appropriate account! The product applies the latest intelligent positioning system for six base stations. It is more accurate and also faster than the traditional positioning system for single base station or three base stations; it has adopted Google map V3 which covers the majority of the countries; it is also fitted with the audible alarm which features clear acoustics and long stand-by time, small size, stable performance and convenient installation; it is mainly used fo the monitoring, protection and tracking of houses, children, old people, pets, cars and warehouses. With the unit switched "OFF" you can use the unit as a normal hands free ! The fun begins when you switch the caller "ON"! Plug the connection jack into the phone, put the earpiece into your ear and turn the power "ON". Choose the "Voice mode control" you require,(either "MALE" or "FEMALE") and make a call. When the person you are calling answers start talking and they won't know who you are!! You will hear a slight echo so you can hear how your devious voice sounds! You can change the "Voice mode control“ during the call so that you can pretend to be two different people, "MALE" or "FEMALE" ! To end the call press the "LIFT/HANG-UP" button. If someone calls you, you can go into "Voice mode control" and press the "LIFT/HANG-UP" button and fool the caller because they won't know it's you! When you receive a call the lights on the unit will flash to alert you of the call. PLEASE NOTE: The "LIFT/HANG-UP" function is handset dependant. This super high clear frame with LCD TFT digital picture player supports SD card, MS card, MMC card. This digital photo frame displays your photos in a fascinating slideshow! No computer needed! The smartest and easiest way to share your photos with friends or relation. Display technology: LCoS, LED lens Lifespan: over 10,000 hours Screen: 4:3 Contrast ratio: 80:1 Projection distance: 21 to 180cm Projection image size (diagonal): 6 to 50 inches Standard screen resolution: 640 x 480 pixels Zoom and focus: manual Luminous flux: 12lm Input interface: by USB cable Power source: by USB cable Can connect with PC/laptop by USB port Built-in small fan. We present Krish USB Handheld Scanner which is appreciated for its user-friendliness. Krish USB Handheld Scanner can scan an A4 size document in minimum time with ultimate clarity. 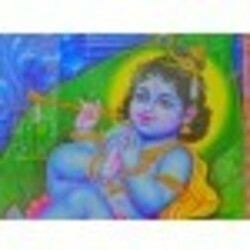 The image hence obtained is contrasting and clear. 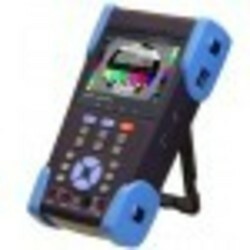 Krish USB Handheld Scanner is very easy to operate and maintain that adds up to its demand in the market. Capacity (Based on 1GB micro SD card. Scan A4 size file, the quantity of scans varies depending on the content complexity. Scan length 300DPI : 50"(Max), 600DPI: 25"(Max). Krish HDMI Audio Video Splitter is a four Way Splitter (HDMI1.3b Certified audio video splitter) which distributes a high-definition audio and video signal to up to 4 HDMI displays at once. Krish HDMI Audio Video Splitter is ideal for sharing an audio/video source, such as a DVD player or set-top box, with multiple HDMI TV’s, projectors and monitors. Krish HDMI Audio Video Splitter has a compact design and is compliant to the latest HDMI 1.3 specification supporting all HD video formats including 1080p resolution. Krish HDMI Audio Video Splitter has been fully tested to support all 3D formats up to 1080P, such as those from Samsung and Sony. The splitter transmits an all-digital, high-speed signal at up to 6.75Gbps (225MHz). It is compatible with Dolby TrueHD and DTS-HD lossless surround sound and supports up to 36-bit Deep Color providing greater color depth and detailed gradations. Composite algorithm system with high speed operating. Embedded LINUX system, easy to integrate into various system. Standalone or network environment. Professional access control system support real-time entrance logs transferring. 24 hours continuous operation available.Saves data during power outage. With strong seal appearance, anti-dust. This Unique pen contains a special proprietary ink that will DISAPPEAR without any TRACES in 2 or 3 hours.Any writing of sensitive or confidential nature shall be wiped out and EVEN cannot be RETRIVED with ultra violet or any other light source.Works best on high quality bond paper. If security and privacy are the utmost criteria with VARIOUS practical APPLICATIONS. Laptop Screen Guard Avoids Dirt to Go below Keys. Privacy Filter helps owner keep data private from Prying Eyes. Digital video recording function, Photo camera function, Voice recorder function, PC web camera function, Memory: 4GB and 8GB models available with USB: 2.0, Watch Function: time display (hour, minute, seconds), Power Source: Internal Li-ion Battery, video recording works up to 100 minutes, Strap: One size fits all, Built-in mic with Recording Format: AVI, Resolution: 1280 x 720, Image resolution: 1600 x 1200, View angle: 62 degree, Minimum illumination:1LUX, Frame rate: > 20 frames, Voice sampling: 16 bit, Video file auto saving after 30 minutes video recording, English user manual & Driver CD included. 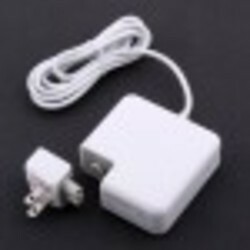 AC/DC charging adapter: 110V - 240V (US plug) USB cable for charging and data transfer. 10.Supports Windows XP/Vista/Mac OS X. It's easy to turn your PC into a music studio. Start by connecting an electronic musical instrument to your computer with the supplied USB MIDI Interface. Within minutes you'll be able to play songs while they are being recorded on your PC! With appropriate software, you can overdub additional instruments, then edit, mix and even print sheet music of your final compositions. Features: The tissue box spy camera is actually a cover that slips over an existing box of tissues. You can find hidden cameras in almost anything these days. Hidden cameras are so small they are virtually invisible to a naked eye. The 1/3" OmniVision CMOS 380TVL tissue box hidden spy camera SR-06 is easy to use and involve minimum, if any, installation .Covert tissue box spy camera can be used to ensure peace of mind and the safety of your family and business. Prevent employee, housekeeper or roommate theft and keep your eye on property and children by using this tissue box spy camera. Security 2GB USB digital video recorder built in tissue box spy wireless camera. This spy video camera records Hi-Resolution real time video via its internal pin hole camera at the touch of a button. Hidden spy camera videos are stored on the 2GB built in USB memory. Internal rechargeable battery is recharged via USB connection. 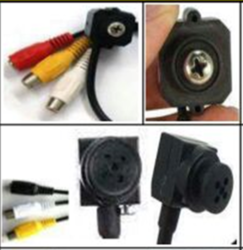 Hidden camera spy is easy to use and involve minimum, if any, installation. Covert cameras can be used to ensure peace of mind and the safety of your family and business. Prevent employee, housekeeper or roommate theft and keep your eye on property and children by using hidden video surveillance cameras. The wireless tissue box hidden camera is actually a cover that slips over an existing box of tissues. The true power of this particular item however really, lies in its everyday nature. Elegant Handbag look, normal Handbag function, Video resolution 640*480 , 2.0M pixel high definition camera , Video format AVI.Support:windows98/me/2000/ xp /2003/ vista, mac ,linux /// High-capacity lithium polymer 1800 mA /// Charging voltage: DC-5V .Interface USB 2.0 .Hidden Spy Camera Bag Description: This spy bag is a covert high definition video recorder with its resolution up to 640*480 and recording frame rate more than 30fps. Support voice recording. Perfect as a spy device. Comes with 4GB capacity. Through the dedicated USB cable easy to export to the image content stored on the computer, play, edit. Equipped with a dedicated high-performance rechargeable lithium batteries, after fully charged, can work continuously for 1 hour 30 minutes. Jpeg Compression Image Capture : 300K Pixels5 level glasses lens : Angle 100 DegreeResolution: 640*480(VGA);320*240(QVGA)Frame rate : TCP/IP, HTTP, DHCPWireless Security:WEPTransmission Distance:50 metersWorking Time: about 3 HoursSupports Audio DetectorsSupport Browser : IE 6.0 Or higher, Firefox, Google Chorme etc. The world's first hardware keylogger withbuilt-in Wireless LAN support! 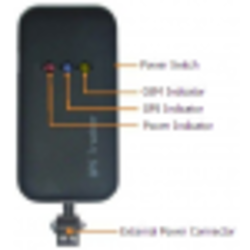 This keylogger connects to the Internet through an Access Point, and sends captured keyboard data as E-mails. With this Wi-Fi hardware keylogger, you can silently monitor a computer from anywhere in the world, just by checking your mailbox! Ultra stealthy, undetectable for software. 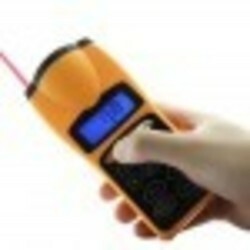 This device works on all cell phones that are BLUETOOTH enabled and on these mobile OS :1. Google Android.2. Windows Mobile 6.0 and above.3. Nokia Symbian S60 V3 and above.4. Iphones & IPadsSpecifications :a) Version : Bluetooth 2.0.b) No. Of Keys : 49c) Built in RECHARGEABLE Li-ion Battery with micro USBcharge Port.d) Working Range : 10 me) Led Light indicator for status.f) Charging Time : 3 – 4 Hrs. Records CCTV video using a nearly invisible camera and microphone. A color display unit shows video in 720 x 480 resolution, controls the camera and records to an SD card. Or also view it on line while video shooting from an external DVR unit. This Mini DV has the functions of advanced digital video, taking pictures, recording, mobile storage, pc camera and sound-control. 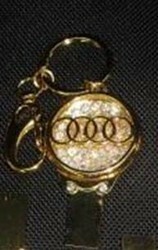 In fact, it is a car key shape spy camera. You can use the spy camera to capture any important moment at anytime in secret and memorize every wonderful moment. It is very fun and stimulation. With exquisite appearance, it is very practical and easy to carry with anywhere. Also, you can put it in your pocket and take pictures anytime what you want. And the TF card slot at the side supports extending to 16GB, which is much enough to store your videos and images. USB interface makes it easily to transfer the video and images onto your computer. And it often can be used for business, education, security, media, judicature, travel, medical treatment, or general use in life.Features: Ultra-small size incorporated popular body design to facilitate easy video surveillance on any occasion Sound trigger recording facilitates the deployment of video. Long time recording, record only you want PC camera function, easy to enjoy the network of life. AVI video format makes it easy to play on PC directly and upload video easily Low illumination, 2.0 megapixel, high-definition camera High-speed motion recording, response to light environment instantly * Video output: 720x480px, 30 frames/sec & Photo output: JPG format with resolution 1600x1200DPI * Replaceable lithium battery for long lifespan separate audio recording, long working hours Support 16GB MAX & A point and shoot operation, LED indicator With mini usb port connected to PC, charge itself or transfer date with PC freely. Play Boy Camera Belt With SPY Cam that Supports USB WEBCAM with 720 X 480.30 AVI Video FILE format. Maximum support UPTO 16 Gb Of MEMORY Card. Easy Operation of Audio Video Buttons. FOR Turn On : Press Middle Button for 3 SECONDS and then check the TF card when the GREEN – RED Light flashes. When RED light ends – device is on stand – by mode. Press the RIGHT button to video Record and press the same button to STOP this also saves the RECORDING – when the red light flashes 3 times. This is a new innovative product specially designed by our engineers. Use this LED Bulb in your day to Day areas where you want eg. : Kitchens, Passages, Hospitals, Store Rooms,Godowns, Ware Houses, Graneries, Hospitals. Also Looks Like a normal daily useage bulb so that sting operations canbe carried out flawlessly. The body of the bulb has a Fashionable appearance. It's body bears tempo paint. Once plug it in wall socket, you can monitor the sound around it remotely via mobile phone for home or office security purpose anytime and anywhere without distance restriction by GSM network. You can also be noticed immediately by phone call if sound is detected around it for quick monitor. Highest 1080P High Resolution H.264 recording in the industry. Built in digital camera that can take up to 8 Megapixel photo. Color Video & Audio, Solo Audio Recording. Night vision that can see up to 10M. 2 inch TFT LCD screen with playback. Can be integrated with you 2 ways audio. It is a Sunglass WITH a CELL PHONE too. Mini MP3 shape camera for hidden AV recording. Video recording format: AVI,640*480,25 frame/seconds. Photo images format: JPEG, 1280 x 960. Support TF/Micro SD card : Max.8GB. Video recording time: 1GB/about 50 minutes. 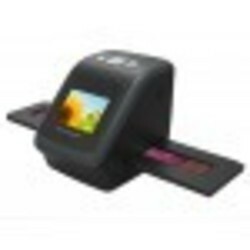 We present Krish Biz Card Scanner which is the ultimate business card and contact information management solution. Through Krish Biz Card Scanner business card scanning is possible directly to Microsoft Outlook. Krish Biz Card Scanner is made out of best quality components and can support all the operating systems there by making it easy to use it. Transmission Interface : USB2.0 (mini USB/80cm). Static Image : Support AVI . Working temperature:-10oC~+40oC. We have gained expertise in providing high-tech Krish Holy Quran Reading Pen. Krish Holy Quran Reading Pen has built-in speakers that produce clear and loud sounds. Krish Holy Quran Reading Pen has the options for choosing the voices of the famous reciters. Krish Holy Quran Reading Pen has a beautiful design with a built-in battery with long backup. There are other modern features that make Krish Holy Quran Reading Pen a user-friendly device. The new Krish Spy Bluetooth Glasses has all the advantages of Bluetooth pen, and enhanced secret communication function. More important, Krish Spy Bluetooth Glasses solve the problem of short transmission distance. The user can hear clearly in invisible earpiece and whisper with partner by the new Krish Spy Bluetooth Glasses. The ultra compact designed Krish Spy Bluetooth Glasses are made from Bluetooth module, hearing coil and rechargeable battery into small glass frame. The depth of glass frame is only 5.8mm. No one can find Krish Spy Bluetooth Glasses build-in transmitter for earpiece unless studied it very carefully. The Bluetooth module offers connection with mobile phone within 10 meters. The alternating current from Bluetooth module flows through the inductive coil. The coil creates a magnetic field and drive receiving coil inside an invisible earpiece within magnetic field. The invisible earpiece should be worn in the left ear because inductive hearing coil is build-in left side of glass frame. The glasses are flat, and can be changed to any degree as needed. Clients can avail from us, Krish USB Cassette Recorder. Previously old mix tapes and self made recordings have gone to waste as newer recording methods have taken over the classic tapes. With the aid of Krish USB Cassette Recorder, it is easy to store the mix tapes in an easy way. Krish USB Cassette Recorder can be conveniently connected directly to the USB port. Krish USB Cassette Recorder has great memory and has exceptionally good voice clarity. Bluetooth Invisible Spy Earpiece, mini wireless earpiece is a micro-mini wireless inductive receiver which transforms audio signal through electromagnetic induction. These products make the covert communication possible when it is inconvenient to expose earpieces. earpiece is widely used in many departments .Using this device; You can hear the voice from the person other side, and the person of the other side can also hear your voice.Features and HighlightsSmallest and low weight, easy to conceal, Comfortable for wearing with an optimum anatomic design , All skin color, more invisible,100% made in Taiwan, high quality Work principle: Mini wireless earpiece is a two-way reception equipment driven by Bluetooth Structure: Mini wireless earpiece consists of specialized chip, shell, faceplate, battery door, handle etc. 1. Battery door Open battery door by fingertip, install the battery perfectly and push the battery door to battery box. 2. Handle Clarity and high strength string help you to take out the earpiece from ear canal easily. By: Indus Cartel Pvt. Ltd.